The saving grace of bed bugs has always been that--unlike mosquitos, for example--they did not carry any diseases along with their nasty bites. Apparently, that is not so. What Diseases are Carried by Bugs? Mosquitos carry Malaria, a scourge to this day in tropical climates. There is easy treatment for malaria, but it is not widely available in third world countries. Sleeping with a mosquito net over your bed in those areas is also very good for preventing malaria. Cockroaches don't bite, but they do spread salmonella and gastroenteritis. Heat treatment can eliminate the most stubborn cockroach infestation. Bed Bugs have been thought not to carry disease, but a recent study at the University of Pennsylvania has used bed bugs to spread Chagas Disease between mice. Haven't Heard of Chagas Disease? "Chagas disease is caused by a parasitic protozoan called Trypanosoma cruzi that slowly attacks internal organs like the heart. At first, it has very few outward signs. Then, about 20 years after infection, some 20 percent of infected people develop very serious problems, including arrhythmias and even sudden death from cardiac arrest..."
Because of the length of time between infection and effects, Chagas disease has been described as a "silent epidemic." Would you think a heart attack was due to a bug you encountered on a Latin American vacation 20 years ago? 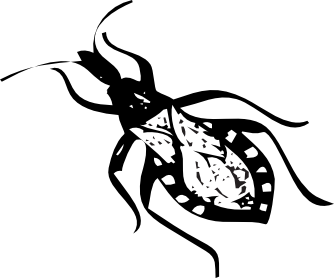 Chagas Disease is usually spread by the "kissing" or "assassin" bug, which is not prevalent in the US. But bed bug infestations have grown hugely in the US in recent years with no end in sight. If those US bed bugs started spreading protozoa, it would be a serious public health disaster, but we wouldn't even know it for 20 years. So if you needed another reason to take your bed bug infestation seriously, this is it. Don't panic, but do take action. Contact Alliance for help!